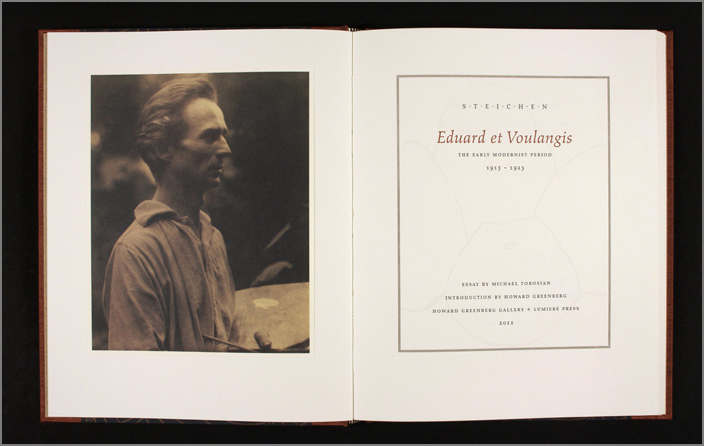 Lumiere Press are celebrating their 25 th anniversary with the release of STEICHEN: Eduard et Voulangis . As I’m sure you’re all well aware Eduard Steichen was an American photographer, painter, and art gallery and museum curator. Amongst other things Steichen was the first fashion photographer and the curator responsible for the family of man exhibition at the MoMA: An exhibit of 508 photos by 273 photographers in 68 countries were selected from almost 2 million pictures submitted by famous and unknown photographers. STEICHEN: Eduard et Voulangis focuses on the period of Steichen’s life just after the first world war when he spent time in his home village of Voulangis, just outside of Paris, experimenting and developing as an artist. The volume pairs a very early portfolio of the early modernist work of Eduard Steichen, with an essay from Michael Torosian that charts the path of Steichen’s early development as an artist, his ascent in the orbits of Paris and New York and the confluence of cultural, aesthetic and personal events that dramatically forged his work as a photographer. My copy arrived just before I headed off for a trip to Europe and I’m looking forward to chance to dig into when I return home. I had a birthday recently and one of the gifts that I received was Manufactured Landscapes: The Photographs of Edward Burtynsky, a retrospective of Burtynsky’s work that features essays by Lori Pauli, Kenneth Baker and Mark Haworth-Booth. An added bonus, for me at least, is an interview with the Burtynsky by Michael Torosian, originally published in the Lumiere Press title ‘Residual Landscapes‘. Burtnynsky’s work focuses on the impact of man on the landscape, his large format pictures of the damaged landscape, from mountains of tires to rivers of bright orange waste from a nickel mine, are really quite impressive but really make you stop and wonder what are we doing to the planet? Burtynsky won the 2005 TED Prize, his TED presentation is in the video below. To find out more about Burtnysky click here. My recent foray into the work of Paul Caponigro led me into a world that I’d thought a little bit about before, but hadn’t really immersed myself in. That of the book as a fine art object. The catalog for Paul Caponigro’s exhibition ‘The Hidden Presence of Places‘ has an essay that references ‘Paul Caponigro On Prior Lane: A Firefly’s Light: The Cushing Interviews Edited with an Introduction by Michael Torosian‘. 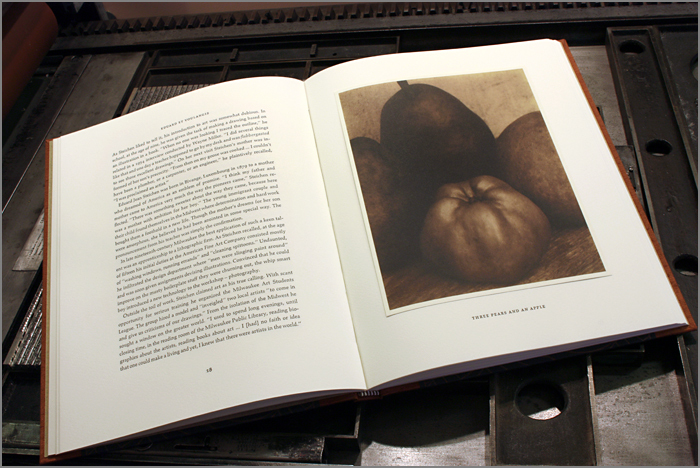 Michael Torosian owns and operates Lumiere Press, a publishing house for limited edition books on photography using letterpress printing. To see a video interview with Michael Torosian click here. If you have even the vaguest interest in letterpress printing you won’t be disappointed. More about On Prior Lane can be found here.